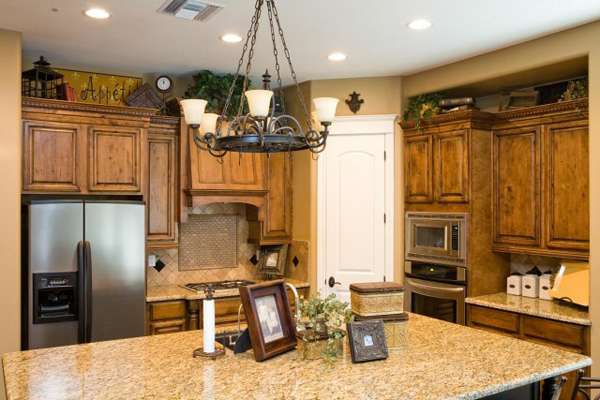 Tuscan decorating style is warm and nature-inspired. 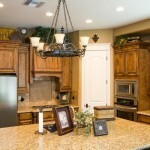 Warm color schemes and rustic design elements are the key features of this style. 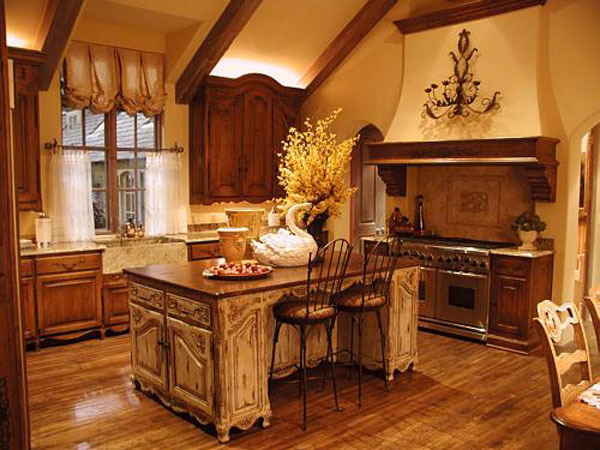 Since nature inspired the Tuscan style the organic materials that are durable and warm are used to decorate the home. 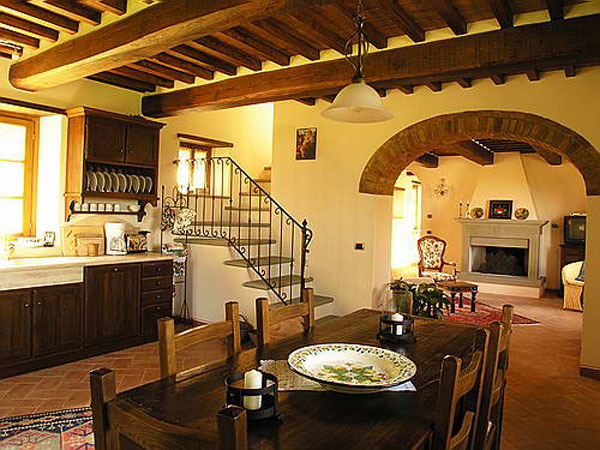 Tuscan homes were built of limestone or sandstone and no matter the rustic motifs marble was used in flooring and such decorative details as pillars and more. 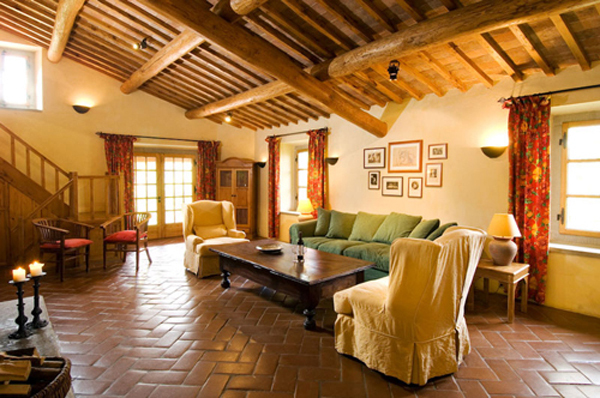 Tuscan homes also have patio or loggia and the roof is covered with Terracotta tiles. 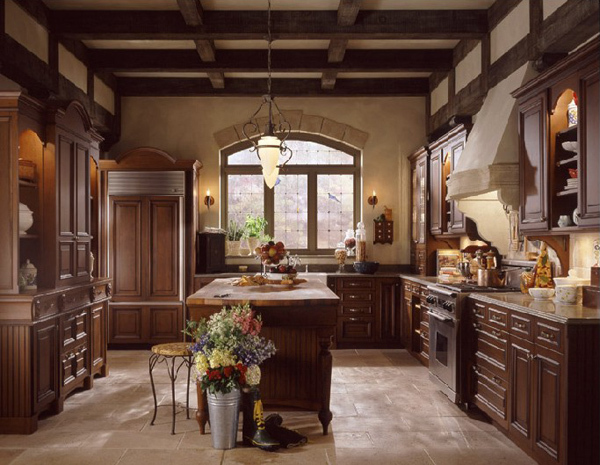 The Tuscan interior design always comes in earthly tones and shades from olive, ochre, dark brown, rusty red, orange and yellow tones, and blues. The walls can be textured with special paints so you may want to opt for those. The textures of ceramics and iron decoration pieces can be softened with rich tapestry in floral prints, stripes and such embellishments as tassels and fringe. The walls can also be decorated with Venetian plaster and faux finishes. 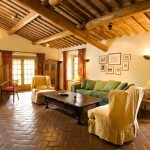 Frescoes and murals are also common for Tuscan decorating style. Woven wall art and other tapestry can also be used to decorate the walls. 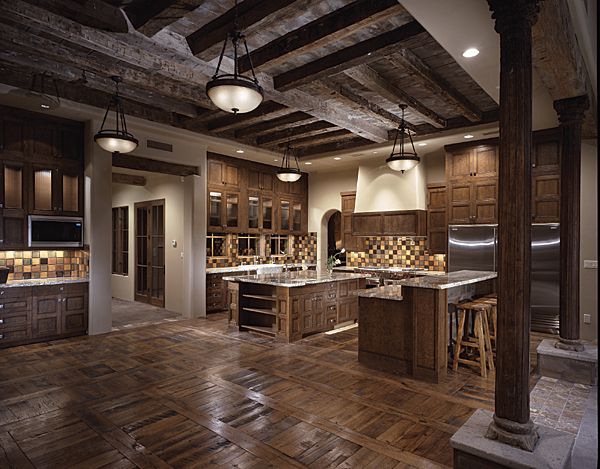 Wooden beams give the house a rustic warm feeling that is essential for Tuscan decorating style. 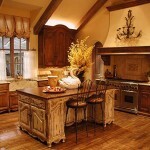 Hardwood is used in furniture and flooring. The furniture features clean and simple lines while ironwork is also used in decorations from furniture to tableware. 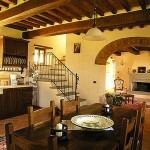 The outdoors of a Tuscan home is decorated with greenery of a surrounding garden and water wells and fountains. Statues made of marble are also common for outdoor decorating in Tuscan style. The home can be surrounded by sandstone brick walls and windows can feature wooden shutters. 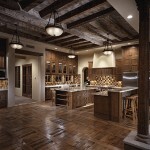 The Tuscan style interior looks shabby but warm and beautiful. The surfaces are finished to look worn and old. Tuscan style is also great for going green since it uses many natural materials that don’t harm the environment and are completely recyclable. Great post! The images embody the sensual richness of the Tuscan style. The marriage of casual warmth and unpretentious elegance.